With the support of Park City Municipal Corporation, and building on the tremendous work local nonprofits are doing, Park City Community Foundation is addressing social equity in our town. The work has already begun, and our goal is for Park City and Summit County to be a thriving community where everyone has access to opportunities and is respected, included, and empowered. On February 26, we hosted our first Community Forum under the banner of the Social Equity Initiative. Approximately 50 people were in attendance, representing different segments of the community. 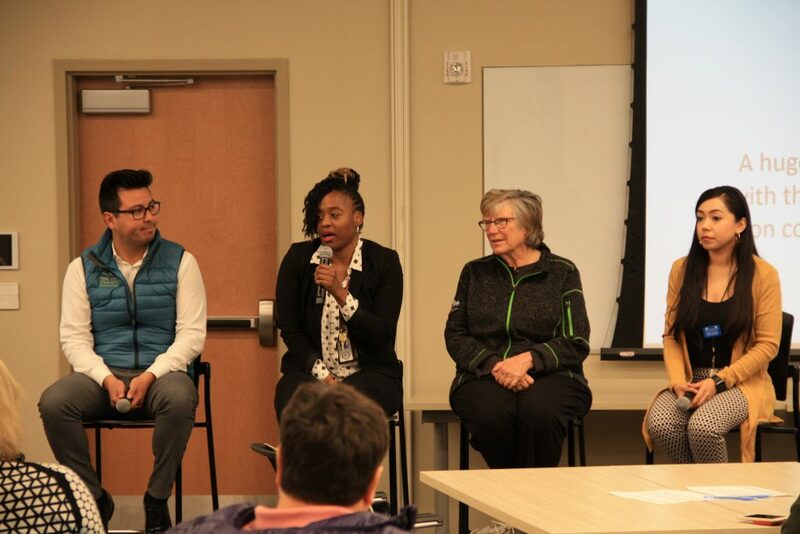 A dynamic panel of speakers was formed by folks from the Social Equity Advisory Committee and included Dalia Gonzalez, Claustina Mahon-Reynolds, Cheryl Soshnik, and me (Diego Zegarra). The evening gave people an opportunity to ask questions, as well as to share their general thoughts on our community. Our work in Social Equity began in October 2018 and is now reaching the point where we transition from data collection to interpretation. We will be in a position to sort, organize, and present the information we’ve gathered from hundreds of community members and make sense of it all. Through this process we will identify the areas that we, collectively, see as important and urgent to most members of our community. With that information, we can then convene and rally around specific issues – whether those are in the realm of health, education, housing, or something else, is yet to be determined. We will see some of this come together in the upcoming months, when we will further connect with the community and share our plans to move forward. Stay tuned to learn more about our existing social equity resources and gaps, how we will prioritize the most significant and addressable social equity challenges, develop a multiyear strategic plan, and support Park City Municipal Corporation in ensuring it serves a wide range of constituents.